Manuka (scientific name Leptospermum scoparium) is a bushy plant found growing in the wild. The leaves of the plants growing in high altitudes yield the best manuka essential oil, which occasionally costs more than the well-known and valued Australian tea tree oil. This is primarily owing to the fact that manuka essential oil has several impressive therapeutic applications. Manuka essential oil is derived from the leaves of manuka plants via a process known as steam distillation. 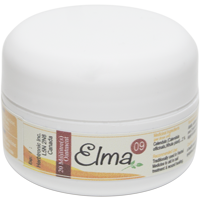 The main active ingredients of this oil comprise geraniol, caryophyllene, linalol, humulene, pinene and leptospermone. There is something amazing about this essential oil - the concentration of its constituents differs depending on the altitude where the trees, whose leaves have been used to obtain the oil, have been growing. The Maori people of New Zealand have been using this oil for a long time for treating a number of conditions, including bronchitis and rheumatism. From the botanical point of view, manuka is very vaguely related to the Ti-tree. Manuka has been named so owing to the similarity between the applications of its essential oil and the tea tree oil. Nevertheless, the Ti-tree does not possess several properties of manuka. Manuka is a bushy shrub and the best quality oils are obtained from the leaves of the plant that are found at higher altitudes (as previous stated). In fact, the oil extracted from leaves of plants growing at higher altitudes possesses more potent anti-bacterial properties compared to those growing at lower altitudes. Manuka essential oil is obtained from the plants' leaves through steam distillation. This essential oil is almost colorless and possesses a mild, sweet aroma. Use of manuka essential oil helps to restrain bacterial growth inside the body. For instance, this oil is effective in checking bacterial infections in the urinary system, colon, respiratory tracts as well as other areas that are vulnerable. At the same time, this oil also helps in controlling bacterial invasions and puts of their actual growth. Manuka essential oil is also useful in getting rid of fungal infections, very much similar to eliminating and inhibiting bacterial infections. For instance, running ears is a very widespread fungal infection. Placing a couple of drops of manuka essential oil inside the affected ear will help to treat the condition very soon and you also don't require spending a lot of money for the treatment. Findings of scientific studies undertaken at the New Zealand-based Cawthron Institute have hinted that use of manuka essential oil helps to get rid of several types of bacteria, fungi, yeast that are often responsible for conditions like toenail fungus, athlete's feet and other infections of the foot. Hence, manuka oil is a wonderful home remedy for all types of such foot infections. All that you need to do is just apply a few drops of this oil directly to the affected areas two times every day and cover the part using cotton socks or a fine cotton fabric to prevent dust settling on the affected area. You can also make a manuka oil soak just by adding about 10 drops of this essential oil to 2 quarts of tepid water and soak the feet that have been infected in it for roughly 15 minutes. Continue this process for five times every week and the problem will disappear. The native residents of New Zealand have been traditionally employing manuka essential oil for treating painful and stiff joints; aching and strained muscles; arthritis pain and back aches for several centuries now. You can get relief from these excruciating and bothersome problems by massaging some lukewarm manuka essential oil onto the inflamed and stiff areas. In addition, you can add manuka essential oil to your bath water which helps to alleviate as well as calm the stiffness and pain. Just add some 10 to 15 drops of manuka essential oil to your bath water and soak yourself in the warm water for about anything between 15 and 20 minutes thrice or four times every week. It is believed that manuka essential oil is beneficial for the foot as well as body odour. To eliminate your body odour, add just three to four drops of this oil to your favourite body wash or about 10 drops to your bath water and use the mix on your body. It will help to diminish the strong body odour. Similarly, to reduce foul foot smell, wash your feet using manuka oil soap and subsequently soak your feet in lukewarm water containing six to eight drops of the essential oil at least once every day. Alternatively, you can also get rid of the strong foot odour by thoroughly applying some manuka essential oil to your feet and in between the fingers and toes daily. Apart from removing the foul odour, this oil will also eliminate the fungal infections responsible for such strong odour. Manuka essential oil possesses anti-inflammatory properties. As a result, this oil has the aptitude to deal with all types of inflammations effectively. It is equally effectual in the case of infections of the nasal or respiratory tracts caused by common colds. This oil also heals inflammation of the digestive tract caused by eating too much spicy foods or the inflammation of the circulatory system owing to presence of any type of toxin, such as narcotics, venom and others in the bloodstream. In addition to those mentioned above, manuka essential oil also treats all other types of inflammation, including those that are associated with fevers and infections. Histamine is responsible for making cough worse. In addition, it is also responsible for bad as well as exhausting coughs. In fact, very often people try various different and sometimes even strange medicine combinations to deal with histamine. Use of manuka essential oil helps to reduce histamine production quickly as well as easily. As a result, this oil offers quick relief from continuous coughing. Moreover, it is safe too. Similarly, this oil is also effective for treating allergies, which are basically hyper reactions of our body towards foreign substances that may include dust, pollens, pets and various other things. Use of manuka oil helps to soothe or sedate such hyper reactions. As a result, it offers relief from allergies. There may be times when you actually get tired of using those expensive anti-dandruff oils and shampoos, but they still do not yield the desired results. You should know that absence of adequate moisture and oil in the scalp is responsible for dandruff. In addition, infections and degeneration of the skin on the scalp also cause dandruff. Using manuka oil may help in treating all these cases and, thereby, help to get rid of dandruff. This essential oil not only helps to sustain the healthy balance of moisture and oil in the scalp, but also prevent the degeneration of the skin of the scalp, while combating all types of infections on the scalp. You can obtain these benefits offered by manuka essential oil by blending it with some other suitable carrier oil and massaging the mixture onto your head. Alternatively, you may mix manuka essential oil with good carrier oil and use it in your bath water. Manuka essential oil is also effective for healing an insect bite or any type of venomous sting. Just apply a few drops of this oil to the affected area and it will soon lessen the pain and swelling caused by the bite or sting. Moreover, use of this oil will also ensure that the condition does not worsen further. In addition, this essential oil is also useful for lightening the scars as well as after-marks. It helps these marks to fade by promoting growth of new cells in the affected body areas and also by protecting the wounds from being infected. Since manuka essential oil promotes growth of new cells, it helps to support our overall health as well as to heal wounds. Therefore, this oil may be administered to people who have suffered serious injuries following an accident or have a wound after a surgery. Manuka oil has a mild, sweet aroma and works in the form of a deodorant. Its use helps to get rid of foul body odour, while its aroma makes one feel fresh. This essential oil has been found to be very useful in neutralizing bad body smell, especially during the hot and humid summer or while one is engaged in any rigorous physical activity. The essential oil extracted from manuka leaves provides a relaxed feeling as it works to combat anxiety, stress, depression, nervous afflictions, anger and even disturbances. People enduring hypertension (high blood pressure), especially whose blood pressure goes up alarmingly when there is slightest tension or anxiety, will find this essential oil beneficial. Thereby, manuka essential oil also helps to look after the heart. Using the essential oil of manuka does not have any known adverse effects and, hence, there is no word of caution regarding its use. This natural oil derived from the leaves of manuka is non-irritant, non-toxic as well as non-sensitizing. Having said this, it is important that before you include any new item in your health regimen, you should always consult your physician. This is true even for items that are very beneficial and safe.